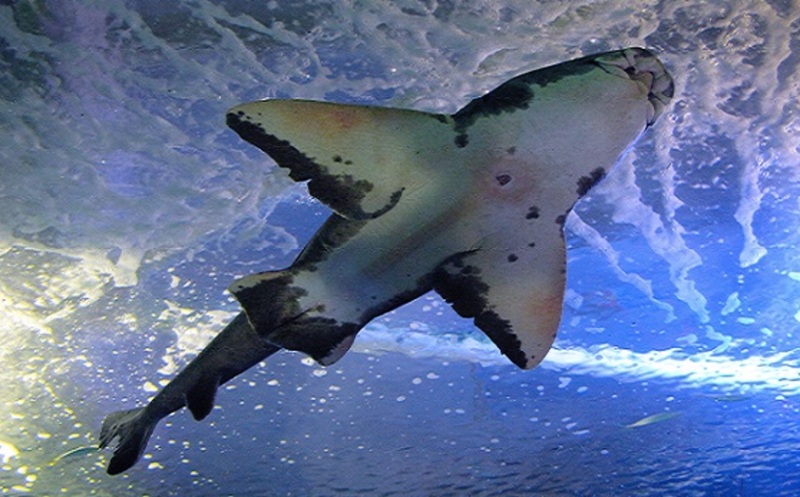 For more than 150 years scientists have known that cartilaginous fishes, including sharks, get cancerous tumours. Despite this knowledge, the belief persists that these animals are immune to the disease and this misconception has been exploited by those who sell shark cartilage, claiming the substance will help to cure cancer. Well, a recent article has shown that a synthetic shark antibody can block a cancer-causing protein and, in so doing, provide fresh insights for the design of novel drugs. The Royal Society, whose inaugural secretary Henry Oldenburg introduced the practice of peer review in 1665, published a press release yesterday: “Cancer therapy has been revolutionised by precision drugs that block the activity of protein kinases. However, new strategies are needed to overcome the resistance to these drugs in order to prevent recurrence of the disease.” The article, published in Open Biology, describes a biological approach to target a kinase in a way that is different from the drugs currently used in patients. A research team, led by Richard Bayliss of the Astbury Centre for Structual Biology at the University of Leeds, focused on Aurora-A a protein kinase that functions primarily in cell division and is overexpressed in breast, colon and other types of cancer. 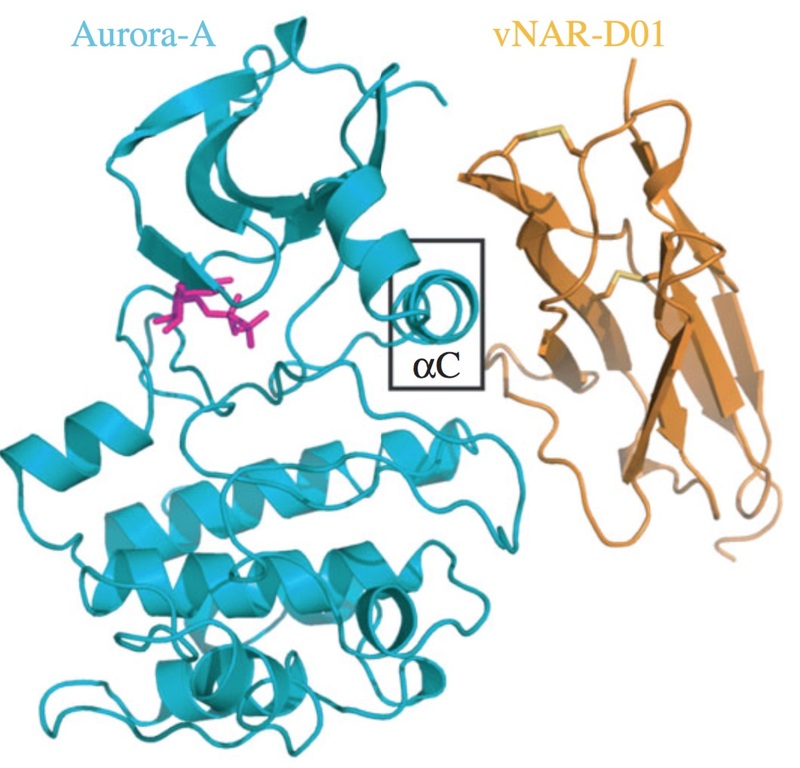 They have revealed a method for promoting allosteric inhibition – preventing a substrate from binding to an active site – of Aurora-A kinase based on a domain known as variable new antigen receptor (vNAR). Richard Bayliss is a graduate of the University of Cambridge, earning his BA (Hons) and PhD in 1997 and 2000 respectively. Appointed to a full professorship before his 40th birthday, he has already garnered an impressive h-index of 28, portending an exciting career in the future. Who knows, his work on shark antibodies could lead to a breakthrough in the treatment of breast cancer. The amazing scientific discoveries from sharks astounds me. From improves aerodynamic created by microscopic tooth-like skin that creates an air pocket around the animal. This technology has been replicated and used on aeroplanes under the name sharklet. Furthermore sharks don’t get infections on their skin due to the cells beings far away from each other. This has been replicated bacteria free door handles. These products are amazing. I just hope the cancer doctors don’t do what sharklet did and make their product so expensive. Very hard to follow with non-biol background but that’s just too bad – seems exciting and impressive. What’s an h-index? You’re right about the biology being quite complex, especially for an engineer like me!